The station has been quiet on the matter while the show has been temporarily taken over by Thabo Mdluli. 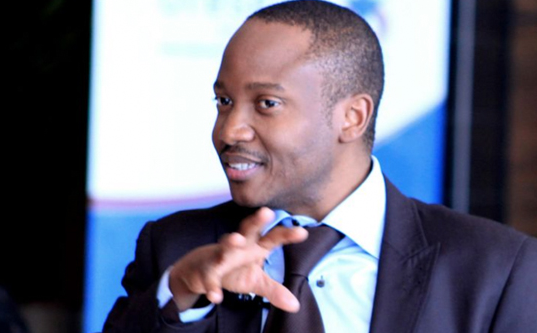 Power FM host JJ Onkgopotse Tabane has been suspended following his public spat with political commentator Chris Vick over his alleged hypocrisy over former communications minister Faith Muthambi. Tabane has been off-air since last Thursday and his show was presented by his colleague Thabo Mdluli. Listeners have voiced their frustration at the lack of communication from the station regarding the Tabane matter. @Powerfm987 is not respecting us, why u not telling us what is happening with @JJTabane #StateCaptureInquiry scandal. @mabena_bob & @MkhariGiven please take us serious #powerperspective. The Sowetan reported on Tuesday that the station indeed suspended Tabane, but did not give reasons why. Tabane’s troubles apparently began when Vick questioned Tabane’s reaction to Phumla Williams’ testimony at the state capture inquiry last week.